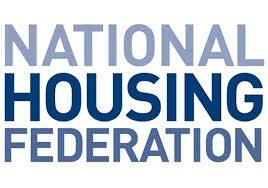 The group was formed in October 2018 to provide strategic input to the Federation’s work and support its ambition to be a trade body that works for housing association board members. Joining the group is an exciting opportunity to help deliver the NHF offer for boards and engage other board members across the sector. The group meets three times a year, the meetings take place at the Federation’s London offices. The two new positions are open to board members from across the sector, and they are particularly looking for applications from tenant board members and board members with a knowledge of specialist housing. This is with a view to ensuring the group is as diverse as possible. If you would like to apply to be a member – or know someone who would – please refer to the group’s terms of reference and send a completed application form to admin.team@housing.org.uk by 15 February. If you have any questions about the group or the recruitment process, please contact Katie Teasdale, NHF Head of Member Relations or visit the NHF website.